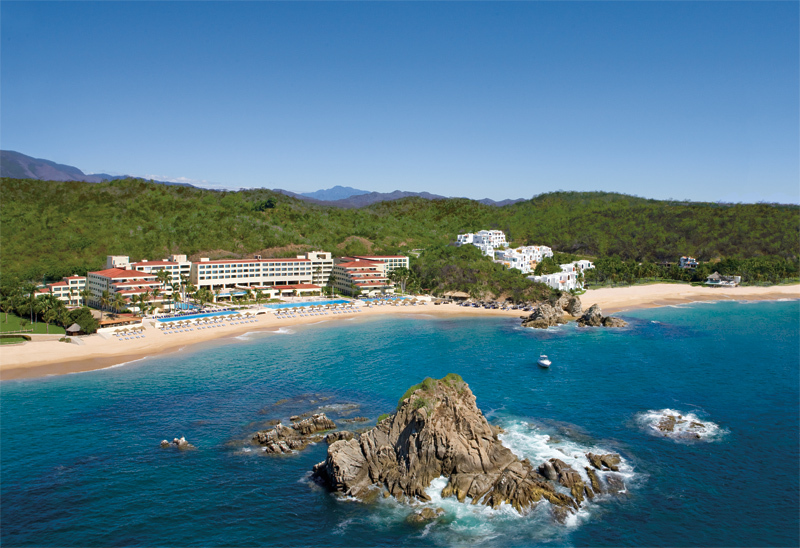 The views at Dreams Huatulco Resort & Spa are truly a sight to behold. If you’re looking for a sanctuary of leisure and adventure for families, couples, singles and friends, it’s time for you to check out Dreams Huatulco Resort & Spa! Surrounded by lush jungle, soaring mountains and dazzling coral reefs, Dreams Huatulco is the perfect place to unwind and make memories to last a lifetime. And with Unlimited-Luxury®, nearly everything is included from gourmet meals to limitless fine wines and cocktails. Your tropical escape begins with a welcome glass of champagne in the lobby before you discover your luxury room or suite with a private balcony or terrace and stunning views of the ocean or jungle. After you get settled in, it’s time to explore all that Dreams Huautlco has to offer, from pristine pools overlooking the beautiful Gulf of Mexico to live nightly entertainment. 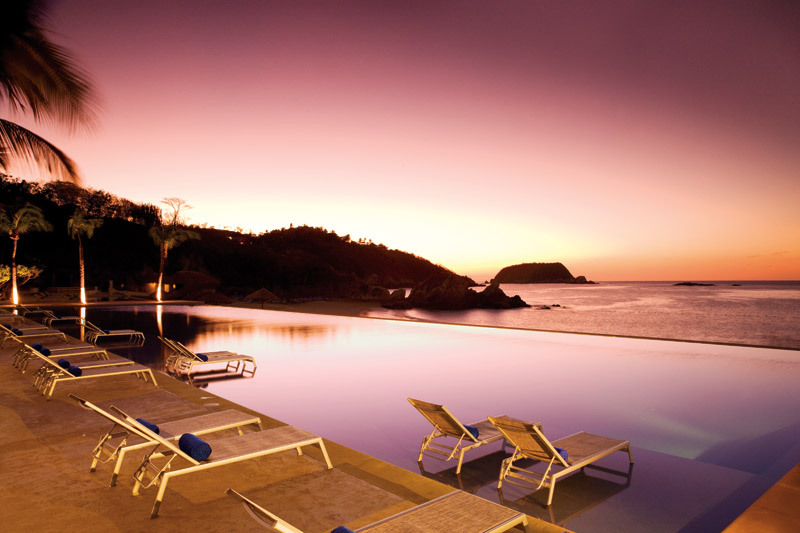 The infinity pool at sunset at Dreams Huatulco Resort & Spa. 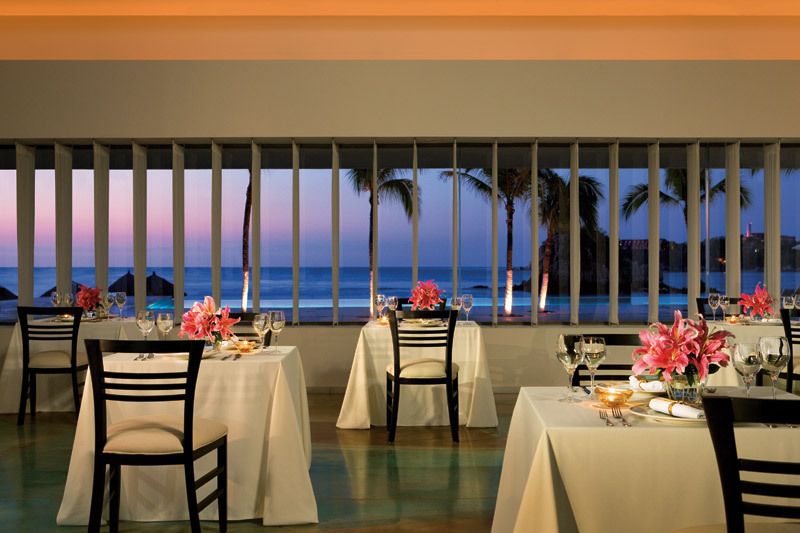 With five a la carte restaurants to choose from, there’s something to suit every culinary mood at Dreams Huatulco and reservations are never required! Since your Unlimited-Luxury® amenities include all meals, why not give them all a try? Sample delectable Mexican cuisine at El Patio, authentic Asian as Himitsu, gourmet northern Italian specialties at Portofino, and more! Don’t feel like venturing out of your room or suite? Not a problem! We’ll bring it all to you with 24-hour room service. Enjoy all your Italian favorite with an unforgettable view at Portofino. While you’re on your luxury vacation, let your hair down with international and domestic top-shelf spirits, fine wines and ice-cold beer at any of our five bars and lounges or get the party going with your own complimentary mini-bar! All drinks are served without limit or expected gratuities. Parents and kids alike love our Explorer’s Club, also part of our Unlimited-Luxury® privileges. Created especially to keep children happy, safe and entertained, the Explorer’s Club is open from 9 am all the way until 10 pm and features kids’ meals, adventures and activities based around nature, science and exploration. While the kids are away, adults can play! Spend some one-on-one time with your special someone with a romantic dinner or couple’s spa treatments. Speaking of spa treatments, our Dreams Spa by Pevonia will leave you feeling pampered, refreshed and rejuvenated with facial, body and salon treatments and various types of massage, all in a beautiful and tranquil setting. 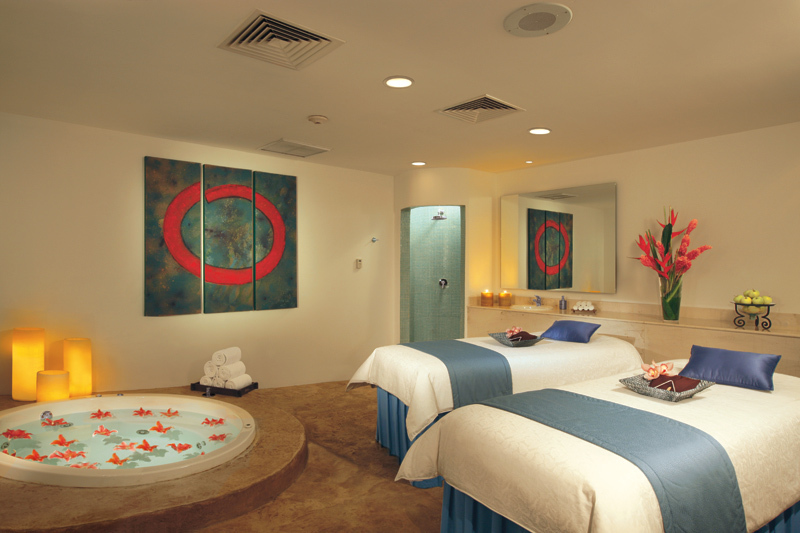 A couples massage suite at the Dreams Spa by Pevonia. If after all this relaxation you’re feeling ready for some activity, we’ve got you covered. Fulfill your sense of adventure with surfing, windsurfing, or kayaking. Embrace the night with themed parties and dancing at Desires Music Lounge or spend a day at a nearby golf course. We also offer a wide variety of tours and excursions to nearby points of interest such as the Copalita waterfalls and La Bocana lagoon. Are you ready to come home to Dreams Huatulco Resort & Spa? We sure are ready for you! Book by July 31st for sizzling summer savings including up to 40% off your stay and up to $400 in resort coupons! This entry was posted in Dreams Huatulco, Dreams Resorts & Spas and tagged all-inclusive, beach, Dreams Huatulco, Dreams resort & spa, escape, family vacation, Mexico, ocean, vacation. Bookmark the permalink.